Sunland Village East is a 55+ retirement community built between 1984 and 1998 by the Farnsworth Corporation. Located in the Southeast portion of Mesa, Arizona, Sunland Village East is an active senior lifestyle community. There are 2437 single level, single family homes and townhomes ranging in size from 1100 to 2155 square feet and priced from about $150,000 to slightly over $330,000 as of this writing. Homes have 1, 2 or 3-car garages. I have the various floorplans available. Email me, if you want, and I’ll be glad to send them to you. There are about 4,000 people who live here. Some of them are year-round residents; but, approximately half are winter visitors. Many are from the Midwest and Canada. The Canadians refer to their second homes as holiday cottages or holiday homes. There are social clubs where the Illinois, Iowa, Minnesota, Wisconsin and Canadian residents can gather. There is also a Veterans’ club. There are bridge, Euchre, pinochle and poker clubs. The AZ active senior living community offers two clubhouses, 2-pools with Jacuzzis and spas, volleyball, bocce ball, pickleball, horseshoe, tennis and shuffleboard courts. There are billiards, arts and crafts, computer, card, ceramics, lapidary, woodworking and exercise rooms. Residents share puzzles and books. The library has DVDs and CDs available. There are bingo nights, karaoke clubs, dance, water aerobics, seasonal speakers and movies clubs. The 18-hole executive golf course offers a pro shop, sand trap practice green, driving range and putting green. There is a Fat Willy’s restaurant. Association dues are a modest $505/year. The townhouses pay the $505/year dues plus an additional $163/month because they have additional services, exterior maintenance coverage and insurance included. Not all Realtors are created equal. Most people agree with that statement; but; then, they go and hire someone from their church or a neighbor to represent them when they buy or sell. You deserve a knowledgeable, capable Realtor to represent you. A lesser Realtor costs the same. 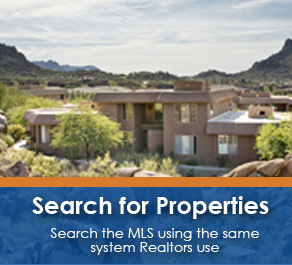 Larry Mann, ProSmart Realty, 480-797-4439, Larry@MyAZRealEstateBroker.com or Realty2Seniors.com is a 55+ Community specialist with 31-years’ experience, broker status and Multi-Million dollar sales club member.